Beneath her eloquent enthusiasm, there’s a jangle of nerves in director Blanche McIntyre’s voice as we speak over the phone. It’s easy to understand why. After being widely tipped as one to watch and winning the Critics’ Circle Best Newcomer award, she is now taking on her biggest and riskiest project to date. This spring she is directing a new version of The Seagull with Headlong, touring to main stages around the country. For a director who has cut her teeth on the intimate spaces of the London fringe, it’s a huge leap. The initiative allowing McIntyre to take this leap is Headlong’s emerging director scheme, which funds an annual midscale tour for a director in the early stages of their career. The programme, now in its fourth year, has previously supported work by Simon Godwin, Natalie Abrahami and Robert Icke, the last of whom is now the company’s associate director. The aim, as Headlong’s executive producer Henny Finch explains, is to stretch the artistic ambition of emerging directors within a touring structure. “The key difference between this and other schemes is that it’s touring,” she says, keen to highlight the significance of this distinguishing factor. 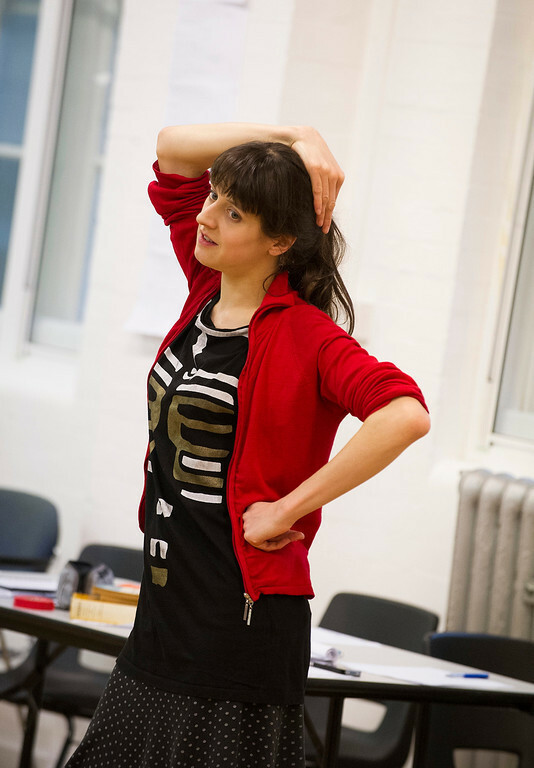 “It’s offering directors an opportunity to direct for a load of different spaces and to find out about how to programme for different audiences up and down the country.” Unlike building-based schemes such as the Donmar’s prestigious resident assistant director programme, Headlong offers emerging and mid-career directors the chance to present work on stages ranging from the Richmond Theatre to Newcastle’s Northern Stage, supported by an experienced creative and technical team. Headlong’s departing artistic director Rupert Goold also points to the importance of creating work for different venues, explaining how his own early experiences of working both in London and regionally offered him “a great insight into different audiences and spaces”, with a huge impact on his subsequent practice. “I am a firm believer in giving people the opportunity to learn their craft in a practical way,” Goold adds, speaking of his desire to offer directors “chances to test themselves in larger theatres and a route beyond the fringe”. For McIntyre, this has meant the chance to work on a bold and ambitious scale, offering an interpretation of The Seagull that uses a striking design concept to “go back to what the nature of the play is and do something unusual with it that’s going to bring that out”. Scale is key here; by touring to a selection of midscale venues, the scheme offers a rare opportunity for directors to think outside the small confines of fringe theatres and studio spaces. With the search beginning for Goold’s replacement, Finch is firm in stating that this scheme will continue under the company’s new artistic director, expressing a commitment that is echoed at the Nuffield. From both organisations, there is a sense that what they are doing is essential – not just for the individuals who directly benefit, but for the whole landscape of regional and touring theatre. As Anderson concludes, with reserved optimism, “none of us can change the world, but we can all do a little bit”.